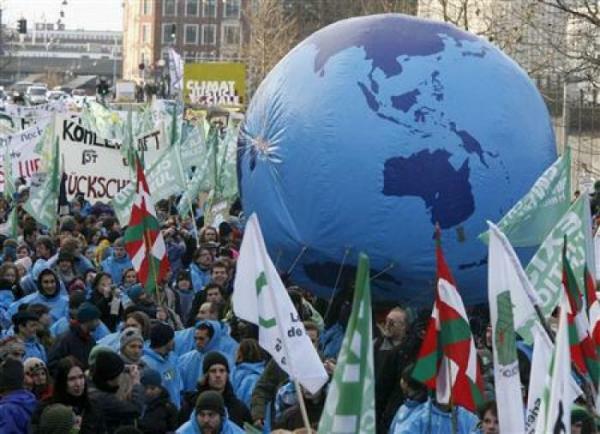 On December 12, on the World Day of Climate Action, over 100 thousand people took part in the demonstration in Copenhagen to draw attention to climate change, with the general requirement to political leaders around the world: to adopt an equitable, ambitious and legally binding agreement on climate. Representatives of over 400 organisations from 67 countries took part in the demonstration. Its participants presented the widest range of the society: the youth, environmental, professional, political and religious organisations - all those who are concerned about climate change. The RSEU Climate Secretariat RsoES joins the demands for equitable, ambitious and legally binding agreement on climate and encourages Russian delegation at the talks for substantive position that would set ambitious targets for emissions reduction.